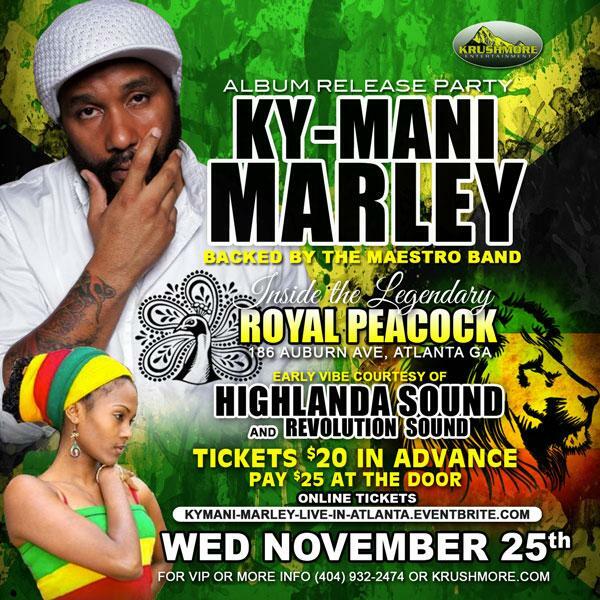 Presented by Krushmore Entertainment, the legendary Royal Peacock will host the official Atlanta album release for Ky-Mani Marley’s “Maestro,” on Wednesday, November 25, 2015 – the night before Thanksgiving. Ky-Mani will give a live performance with his Maestro Band. Early vibes will be selected by Highlanda Sound alongside Revolution Sound. Limited $15 early-bird tickets are on sale now!